When seeking to learn (much less become an expert in) anything, it’s important to realize it’s not going to happen overnight. You’re going to have to do your time like everyone else—learning, building, and becoming the expert that you want to become. Don’t let that scare you. Before you know it, you’ll be at the top of that hill and you’ll never look back. I just finished participating in Traffic & Conversion 2019 in sunny San Diego (America’s Finest City). 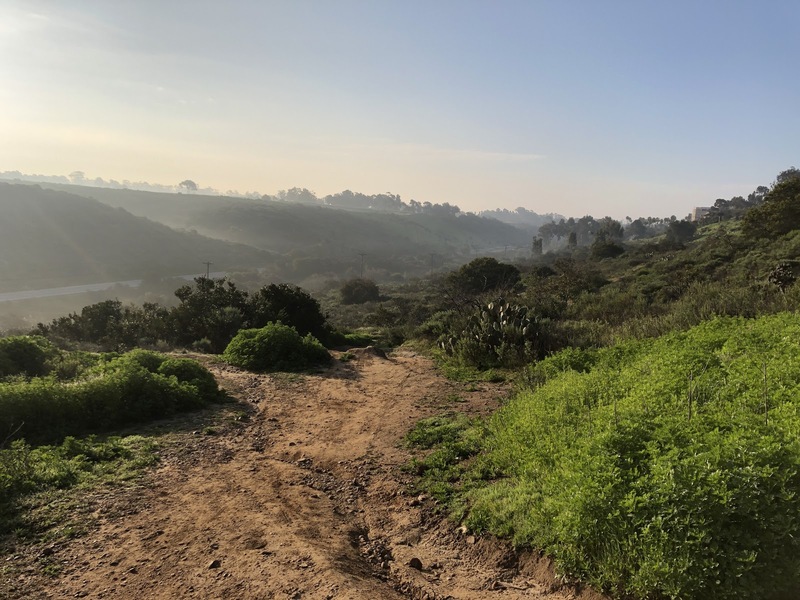 I was staying with my daughter and each day I would walk the trails through Balboa Park (see the pic above) on my way to the Marriott Marquis. Fortunately for me, others had walked that trail before me and marked a path I could follow. Then Google mapped those trails for me. Could I have gotten there without following any trails or maps? Maybe. But why do things the hard way when the easy way was right in front of me (and so easy)? When you need to know (or master) something, why not do things the easy way? My first and most important recommendation is: prioritize. When you’re in learning/growing mode, there can be a million things to learn. Not-so-fun-fact: you can’t learn a million things, at least all at once. You need to pick your highest priority, your most pressing need or desire, and go after that. Once you’ve got that down, go on to the next one. So many people I know flit from one topic to the next without ever getting what they really need. You may not need to be a master at anything, but you should invest enough time and energy to get what you need before you move on to the next thing. There are likely books and opinions out there already on your topic. It’s important to read and soak in a variety of ideas from those who are already experts. Knowing the prevailing wisdom and how it came to be will help you on your learning journey, and will also help you form your own thoughts and opinions. As you are learning from other experts, you’ll want to implement what you’ve learned. Learning is so much easier if you do what you’re learning. Put into practice the theories you’re learning about. Test out some of your own ideas, see what works and what doesn’t work. This is critical if you’re going to go from knowing about something to being able to use the information you know. As Tony Robbins says, “Knowledge isn’t power. It’s potential power.” Doing what you’re learning is true power. A mastermind group usually consists of a leader who is an expert in a particular area. You don’t have to join a group that is in your niche; instead join a group that is designed to help you learn what you’re trying to learn. For example, if you need to learn more about public speaking to help promote your ideas, join a public speaking mastermind group. I have a friend named Walt who has joined various masterminds to deep-dive into topics he feels will help him with his business. You should consider doing the same. Today you don’t have to even leave your house to take courses to learn the things you want to know. You can take both accredited and unaccredited courses to become an expert. Check out Lynda.com , Khan Academy, or Coursera.com. They’re not accredited, but you probably don’t need college credit—you just need to get what you need. The important thing is that you learn what you need to learn in a manner that enables you to learn a topic quickly. While you’re involved with learning it can be easy to be distracted from your mission. Your mission is to learn what you need about a particular topic and niche, not to become the best in the world. So don’t lose sight of your end goal just because you find learning something exciting— stay the course. For some people, hiring a coach that can help them stay focused on doing what they set out to do can be helpful. The coach doesn’t have to be an expert in the area you want expertise in either. Instead they should be an expert in helping people reach their goals, whatever they are. You’ve heard your mom say it, “Practice makes perfect” and it’s mostly true. The more you practice something and gain experience in something, the more likely you are to learn what you need to know and maybe even become an expert. Use it or lose it is trite but true. It’s important to persevere and not give up. You may not learn as quickly as you’d like. You may become an actual expert before people recognize your expertise. Just keep going. Keep learning and it will happen. One step at a time and you’ll eventually get where you want to go. As you embark on your learning journey, there will be roadblocks and speed bumps along the way. The truth is, you can overcome all of them with perseverance, focus, and an effective strategy. In the comments below, feel free to share what you’re learning, or what you’d like to learn. And if you’re wondering if I can help you get where you want to go, the answer is—I don’t know. But I’d be happy to talk with you about it. Feel free to email me ron [at] rontester.com. I’m going back to the basics, and I’m taking you with me! I just got back from a conference in Los Angeles hosted by Connie Ragen Green. She and I teach a course called How to Market for Small Business and we gave a jam-packed presentation about marketing for small business to a room full of smart, ambitious entrepreneurs. While preparing for the presentation, I was reminded that it all comes back to the basics, blocking and tackling. 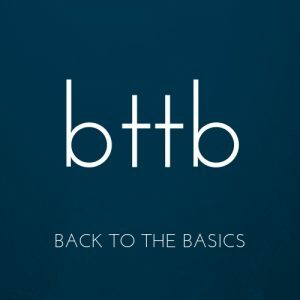 So I am going to go back to the basics myself and I am going to write about them as I implement. I hope you’ll come along with me and implement the ideas alongside me. The best way to get new eyes on your website is to have continually updated, relevant and useful content. The easiest way to display this content is with a blog. Businesses that blog generate a lot more traffic to their website than those who don’t. It’s just a fact. According to HubSpot.com, businesses that blog have more inbound links, higher ranking and up to five times the traffic of businesses that don’t blog. The way search engines work is that a human enters words into a search bar, clicks Enter, and then is returned with what are, hopefully, relevant results that give them the information they want. The search engine uses code to compile a list of results, based on keywords and a bunch of other factors in hopes of giving the human results that are useful. A blog will help you deliver more useful content with appropriate keywords. The more relevant your website is (determined using an algorithm that considers keywords, links, and more), the higher your website will appear in searches. Having a higher page ranking will cause you to get more traffic to your website since most people don’t look past the first page of results to find the information they’re searching for. A blog will help you get more clicks due to having more keywords. People have no reason to view your website more than once if there is a finite amount of information. A blog enables you to keep the relevant information flowing to your website so that your audience wants to keep reading the new information that you put on your blog. The blog keeps your audience’s attention by providing new reading material, as well as new content for the search engines to crawl. The more you blog, the more locals will begin to see you as an expert. If you blog about issues related to your niche, teach beginners something new, and share what other experts are saying, you will start to become the go-to local expert in your niche. The more you blog, the more you share, and the more you promote what you’ve written, the better. Finally, writing a blog will help you build relationships with your audience in ways you may not have considered. As your blog becomes more popular you’ll be able to get to know your audience better, and thus you’ll be in a better position to offer them products and services that they truly want and need. If you want a content-rich course to jumpstart your local business marketing efforts and would like to have my support on an ongoing basis, I recommend you consider How to Market for Small Business. We’ll be starting a new season soon and I’d love to be able to help you. Whether you want to touch a nerve, reach a new audience, or boost your sales, storytelling is the most powerful tool in your arsenal. As humans, we love a good story, and when it resonates with us, it can drive us to take action when nothing else can. Think about it—which would you rather read, an interesting story, or a sales letter? Which are you more likely to remember a week from now, a compelling story, or a features and benefits comparison? And which are you more likely to buy, a story you can see yourself in, or a product that does x, y, and z? If you think back on your most recent purchases, from the business coach you hired to the car you bought last summer, chances are you’ll find a story that resonated with you, and that drove your decision to purchase. You’ve heard it time and time again: People buy from those they know, like, and trust. And part of getting to know you is hearing your stories. Your potential clients want to know how you came to be in business, what experiences you’ve had that drove your decisions, what lessons you learned along the way. Your stories don’t have to be directly related to business to be powerful, either. That anecdote about the time you nearly got arrested for not having a valid driver’s license is the perfect lead in to a blog post about better record keeping. Or the story about how you accidentally seated two warring families together at your wedding reception? It’s just what you need to drive home a point about relationship building. Otherwise known as social proof, stories about your clients are incredibly useful in your marketing and branding strategy. Testimonials, white papers, case studies and the like are all just stories, after all, and they showcase how you and your products or services have changed a life or a business for the better. Yes, even your products and services have stories to tell. Why did you decide to create that new program? What will it help your clients achieve? Who is it not suited to? These stories and more can show your potential clients more about your products and services than any sales page ever will. When you openly share your thought processes as you were creating your program, buyers will instantly know if it’s a product or service that will work for them or not. Clearly, stories have a lot of power when it comes to branding and marketing, but you have to use caution. Beware of the awkward insertion of a story just because you’ve heard it’s good for your marketing. 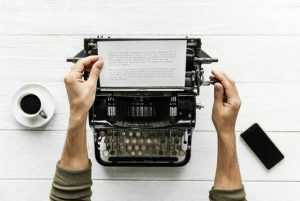 If you find yourself midway through a blog post and you write something like, “but anyway, enough of that, let’s get on with business” and then making a total shift to a completely different subject, chances are the story isn’t working. But if you can tie your story in naturally to what follows, that’s your golden ticket to better branding, more sales, and a more profitable business. We love stories. Don’t be afraid to tell yours. If you need some help figuring out which stories to tell or how to tell them, I recommend you check out Donald Miller’s Building a Storybrand or Paul Smith’s Sell with a Story. But if you’d rather get personalized, immediate help, we should talk. Email me at ron@rontester.com. 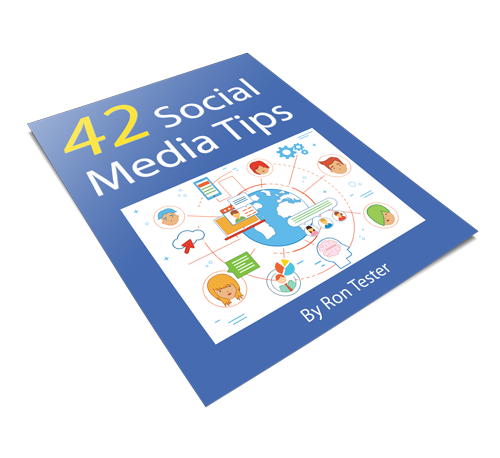 "42 Social Media Tips" Today!